Liberal leadership candidate Justin Trudeau is having to explain comments he made about Albertans in 2010, a day after a fellow Liberal resigned his critic role over gibes toward Alberta Tory MPs. Liberal leadership candidate Justin Trudeau is having to explain comments he made about Albertans in 2010, one day after fellow Liberal MP David McGuinty resigned his critic role over pointed comments about Alberta Conservative MPs. 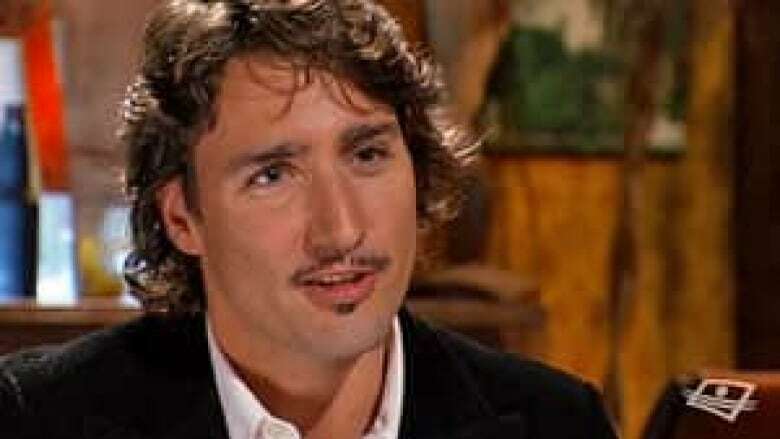 Sun Media published comments on Thursday that Trudeau made in a November 2010 interview in French on the Télé-Québec program Les Francs-tireurs (The Straight Shooters). In the interview, Trudeau seemed to take aim at Alberta politicians, and argued Canada was better off in the hands of leaders from Quebec. "Canada isn't doing well right now because it's Albertans who control our community and socio-democratic agenda. It doesn't work," Trudeau told interviewer Patrick Lagacé. When asked whether he thought Canada was "better served when there are more Quebecers in charge than Albertans," Trudeau replied, "I'm a Liberal, so of course I think so, yes. Certainly when we look at the great prime ministers of the 20th century, those that really stood the test of time, they were MPs from Quebec. There was Trudeau, there was Mulroney, there was Chrétien, there was Paul Martin. We have a role. This country, Canada, it belongs to us." Just a day earlier, Trudeau's caucus colleague McGuinty apologized and resigned his role as Liberal energy critic after he was reported as saying Conservative MPs "really should go back to Alberta" and run for the provincial legislature or municipal office if they weren't willing to adopt a national vision on energy policy. Conservatives angrily denounced McGuinty's comments on Wednesday, and on Thursday said Trudeau's 2010 quotes are proof of an anti-Alberta bias within the Liberal Party. Immigration Minister and Alberta MP Jason Kenney said Trudeau's comments were "the worst kind of divisiveness, the worst kind of arrogance of the Liberal Party, and it brings back for many Westerners the kind of arrogance of the National Energy Program, which of course devastated the Western economy." The National Energy Program was a policy introduced in the 1980s by Trudeau's father, the then prime minister Pierre Trudeau, and is often cited as a key reason for Western resentment. In a statement posted on Facebook and released to the media, Trudeau's campaign said the 2010 comments were being taken out of context. "The Conservatives are using out-of-context statements made years ago in a long interview. They are clearly concerned that they are losing the byelection in Calgary Centre and are resorting to smear campaigns to stop their slide," the statement said. "Justin knows that Calgary, Alberta and all of Western Canada are at the very heart of Canada's future. That's a message he has taken to every part of the country, from the beginning of the campaign. We need to get beyond the divisive politics of the Conservatives and include all Canadians." On CBC News Network's Power & Politics, Alberta Conservative MP Michelle Rempel called the younger Trudeau's comments "ridiculous" and "insulting." "You know, I'm so fired up about this because I am from Alberta and I represent people in the heart of a vibrant, dynamic riding who believe in a strong, national, unified country," Rempel said. "And, you know, for Mr. Trudeau to come out and try — I'm not sure if I heard his statement correctly, it's the first time I heard it — but for him to try to say, 'Oh, wait, the Conservatives are smearing me,' rather than 'I unequivocally apologize for these remarks, they were wrong, they were ill-informed,' it's ridiculous," Rempel said. Trudeau's leadership campaign adviser repeated the suggestion that the controversy was linked to next Monday's Calgary Centre byelection, where the Tory candidate is in a tight race with a Liberal. "This is coming up because the Conservatives have been very surprised at how poorly they're doing in the Calgary Centre byelection, and they're quite concerned about losing what they thought was a safe riding in the heart of their home territory," Gerald Butts told Power & Politics. "And they're losing that riding because they've ignored the concerns of Albertans for too long, and in particular in Calgary people are waking up to that fact." Butts said it's important to understand the context of Trudeau's remarks. "It was a very long interview in French, and the question was about why are Quebecers disengaging and turning off from federal politics. And what [Trudeau] was saying, which was not dissimilar from what he said in January which caused a similar unjustified firestorm in English Canada, was that Quebecers see a government that doesn't share their values," Butts said. "And I don't think you could walk down the street of Montreal and not find too many people who would disagree with that." Butts noted Trudeau also told an Alberta audience this fall that the National Energy Program was a "mistake." Trudeau has made several recent trips to Calgary, Edmonton and other Western cities as he campaigns for the Liberal leadership, saying he's eager to put the Liberal "ghosts of the past" in the West to rest. "My entire campaign has been about bringing people together, about not pitting region against region and about being a strong representative and a voice that says the same thing in Chicoutimi as we say in downtown Calgary as I'll say in Toronto as I'll say in B.C.," Trudeau said during a stop in Edmonton on Tuesday, Canadian Press reported. This story was edited from an earlier version to include Justin Trudeau's full quotation from the Tele-Quebec interview on the subject of prime ministers from Quebec.